I died 1,634 times while playing Celeste from start to finish. This new platformer from developer Matt Makes Games is not suited for somebody looking for a casual gaming experience. In fact, gamers may want to consider purchasing a backup controller just in case one gets thrown across the room in anger. The game’s grueling level design will test your patience as you attempt to make a jump over and over (AND OVER) again, but if you’re able to overcome the obstacles presented, you’ll be rewarded with a storyline that’s both inspiring and heartwarming. 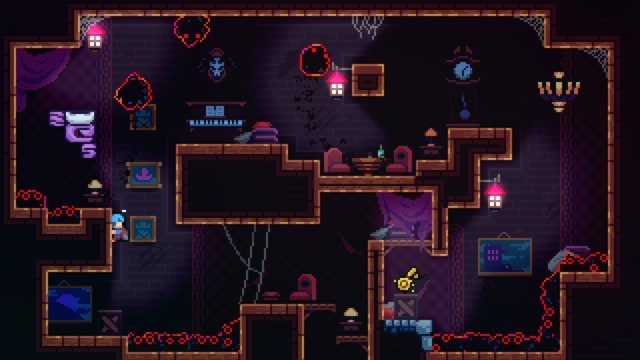 Players take on control of a girl named Madeline who has set out to climb Celeste Mountain. As Madeline embarks on her journey to the top, she’s forced to overcome her depression, constant panic attacks, and inner demons keeping her from accomplishing her goal. What takes this experience further is the brilliant way the level themes and enemy types often symbolize her current mental state. Environments become darker and the perils around the corner only create more anxiety for her, reflective of both the situations in the game, but also of her mind itself. This added layer makes each level feel more meaningful rather than simply going from one point to another. Celeste’s story is very moving, especially if you have any experience dealing with or understanding the ups and downs in mental health. 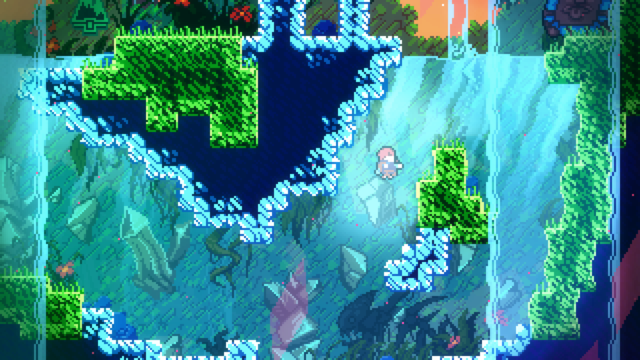 There’s so many small touches about Celeste that I appreciated. As you journey up the mountain, you’ll encounter many characters that provide the game with some much needed comedic relief. There’s nothing better than having a good laugh after you feel like crying in frustration because the level is too difficult. The game’s music flows perfectly with its gorgeous 16-bit art style, and even remained in my head when i had to step away from playing. Finally, the game features additional levels called “B-sides” that are a remixed version of a level you’ve already played, but far more difficult. I may go back to those levels one day, but after my initial climb up the mountain, I could use a breather. 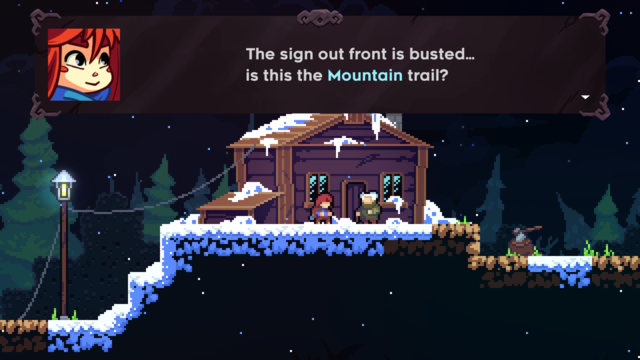 Celeste is the first platformer in years to make me care about the game’s story. Madeline is a character with a lot of layers and seeing her story unfold is intriguing and reflective in ways that many players will be able to understand. Depression is a subject that games are only now beginning to talk about, and Celeste should be remembered as one of the greatest at portraying it. This Super-Nintendo-like platformer has a tremendous amount of substance, and will be etched in my brain for years to come.